You will find here the complete list of PMPC Star Awards for Music 2012 winners which was held last Sunday night at the Meralco Theater in Pasig City. The awards nights almost dominated by ABS-CBN Kapamilya artists. This year event, PMPC Star Awards for Music was hosted by Pops Fernandez, Maja Salvador and Xian Lim. And among the winners, Martin Nievera, Sponge Cola, Christian Bautista, Cabangon, The Company and Wonder Guys are the artists who got two (20 awards each. Here are the winners of the 4th PMPC Star Awards for Music held on September 9, 2012, Sunday. FEMALE CONCERT PERFORMER OF THE YEAR - Sarah Geronimo for "What Love Is"
DUO/GROUP CONCERT PERFORMER OF THE YEAR - Jose Manalo and Wally Bayola for "Jose and Wally: A Party for Every Juan Concert"
COMPILATION ALBUM OF THE YEAR - "The Pearl Collection, 30 Years of the Most Memorable Theme Songs"
If you feel that this post is interesting enough for you, please bookmark it and share to your friends on Facebook, Twitter and Google+. 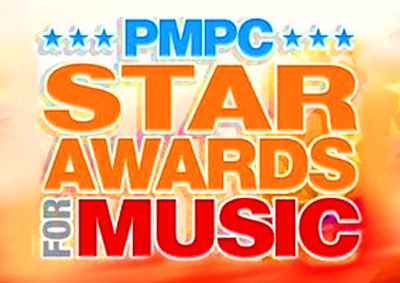 Comments or suggestions about "PMPC Star Awards for Music 2012 Complete List of Winners" is important to us, you may share it by using the comment box below.